Here at Tripwire we get many great customer success stories, so I’ve decided to start a series of blog posts that bring those stories to you. This week’s post focuses on a The Logic Group, a large payment processor in the UK. The Logic Group solutions process in excess of three billion credit and debit card transactions a year, the equivalent of over 35% of the total volume of UK card payment transactions, and so are responsible for the secure delivery of over £150 billion in payments every year. The company has 500 clients nearly half of which use the group’s managed services for payments. 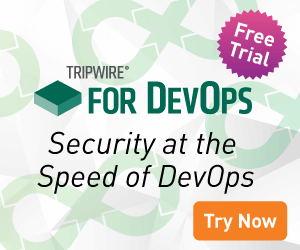 Tripwire VIA solution was deployed across the UK data centers and 400 servers. Overhead was reduced and compliance processes were streamlined with centralized alert and reporting capabilities. You can download the complete Case Study here (no form required).